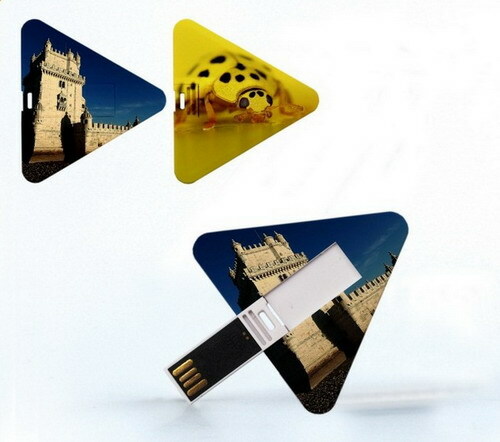 This flip design of Triangle shaped USB drive looks unique. It becomes a headed arrow / tree look when you flip out the USB drive. Consequently, you can design your printed logo/ image/ message based on your creativity.